Everyone I know in San Francisco was extremely excited when Starbucks bought La Boulange, a hugely popular Bay Area bakery. What a lot of those people didn’t realize was that instead of simply incorporating the new goodies into the rest of their fab offerings, Starbucks would be tossing aside some of our favorite treats in the process. 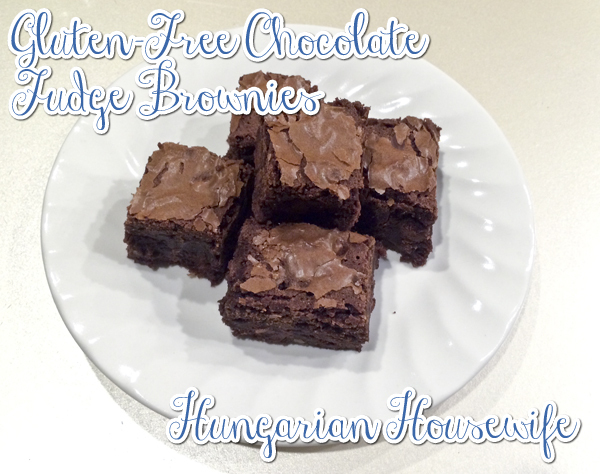 Treats, I might add, like my all-time favorite, gotta have them as often as humanly possible, double chocolate brownies. I’m not even a huge sweets eater but these brownies were like my own personal form of heroine. No matter how much I wanted to quit, I just kept coming back for more. Seriously, some of us only go to Starbucks to get a fix of the delicious (and outrageously caloric) treats, and quite frankly, the La Boulange offerings that I’ve tried have fallen a bit flat – FYI Starbucks, warming up my baked good does not increase their appeal (especially when most of your new stuff has such an overabundance in butter that they just get soggy when heated – gross!). This post isn’t meant to be an all-out Starbucks bash, although I am bitter that you have cast aside my lovely double chocolate brownie, and I’m sure I’ll still occasionally pop in for an afternoon coffee on the run. The thing that has always kept me going back to Starbucks instead of say Coffee Bean, Seattle’s Best, Peete’s, or that cute little indie coffee shop on the corner was the Double Chocolate Brownie. With it gone, I’ll be getting my coffee from whatever is most convenient at the time (a latte is a latte… espresso and milk is pretty hard to screw up). Honestly though, without my beloved brownies I don’t have a lot of reason to go out for coffee. I have two espresso makers at home (yes, two): My Breville (makes the best espresso, but only David is allowed to use it) and my Nespresso (which is good too, but I haven’t found my favorite espresso pod yet). Plus, it’s cheaper to make my lattes at home (and I can use organic milk or even almond milk, which is a big plus). So getting coffee the way I want it, really isn’t that hard, but finding a brownie that I love as much as my double chocolate brownie was proving to be an impossible feat. I have been making a lot of brownies lately and a lot of them have been good, but I would never crave them the way I did the Starbucks brownie. Then, after a frustrating day at work, I made these brownies and everything changed. I no longer care that Starbucks doesn’t carry my (formerly) beloved double chocolate brownie, because these new chocolate fudge brownies, could beat those brownies any day (at least according to my palate). Plus, they’re gluten-free, so even mom can enjoy! Generously butter a 9”x13” cake pan and set aside. In a large bowl beat together the 4 eggs, salt baking powder and espresso powder until smooth and set aside. In a heat proof bowl or double boiler set over simmering water, melt together the butter and the sugar until the mixture is hot and shiny (not bubbly though). Remove from heat and allow to cool for about 10 minutes. While your sugar mixture is cooling, in a medium sized bowl, mix together the cocoa powder, gluten-free flour and xanthan gum and set aside. Whisk the sugar mixture into the egg mixture until well combined and then add in the flour/cocoa mixture in two batches, mixing just until you no longer see the flour or cocoa. Fold in the chocolate chips (your mixture will be warm enough to melt them slightly… this is a good thing) and pour into prepared cake pan. Bake at 350 degrees Fahrenheit for exactly 30 minutes (due to the melted chocolate chips in the brownies, your tester may not come out totally clean-that’s okay). Allow to cool completely before cutting (trust me… these good when they’re hot, but they are phenomenal when they have cooled completely). Enjoy!